Emiliza San Diego is an Associate Attorney in the San Diego office. Ms. San Diego practices in the areas of Civil Litigation and Family Law. Ms. San Diego is a member of the State Bar of California. She is a graduate of California Western School of Law in San Diego. During law school, she was on the executive board of the Asian Pacific American Law Students Association and the Hawaii Law Student Association. Ms. San Diego earned a Bachelor of Arts in Legal Studies from the University of California Santa Cruz. Ms. San Diego is a former Post Bar Law Clerk and former legal extern at Boyd Law. 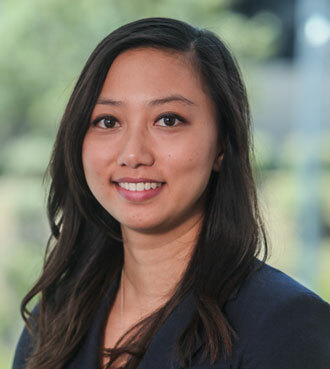 Prior to interning with Boyd Law, Ms. San Diego interned with non-profit organizations, including the Legal Aid Society of San Diego and the City Heights Community Law Project.